Finding out you’ve become the victim of identity theft is never a pleasant discovery. Identity theft happens to people at an alarming rate these days, with a case of stolen identity occurring every two seconds in the United States. The perpetrator gains access to your personal information and then, in most cases, wreaks havoc on your finances, personal life, and credit score. It can be very stressful and extremely expensive, especially if is not managed properly. You can easily mitigate the damages when you know what constitutes identity theft. Understanding how and where thieves get your personal information can help you keep it protected. If knowledge is power, then it’s important to give yourself the power of prevention. Put simply, identity theft occurs when an unauthorized person or entity uses your personal information. The reasons why your information may be stolen are as varied as the ways in which it’s taken. While you may believe that ID theft happens only to those individuals who are not careful, you’re mistaken. Identity theft occurs among some of the most protected people on the planet, and it happens to more than just credit card and bank users. In fact, the scope of identity theft is likely broader than you’ve ever imagined. Tax and wage-related ID theft is a type of fraud that occurs when your earnings or tax documentation are obtained and used illegally. This type of theft accounts for nearly half of all reported cases. Tax theft involves an unauthorized entity using your annual tax filings to get a return in your name. Wage-related identity theft involves someone using your identity to collect an income. Both types are dangerous and, if they are not managed properly, the results could be steep penalties, legal action, or significant damage to your credit report. 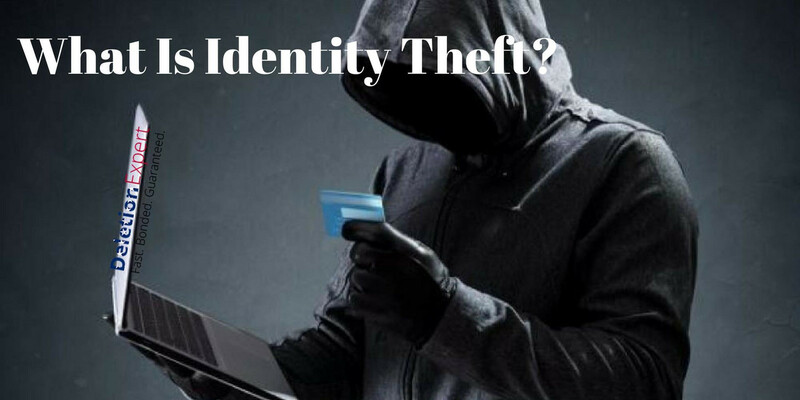 The Federal Trade Commission recently published a study which stated that 16% of all identity theft reported annually is due to unauthorized use of a credit card. Another 6% was due to unauthorized use of a bank account. Financial identity theft is real, and its most common victims are those who make purchases online, lose their bank cards, or lend them to the wrong people. Financial fraud is defined as the use of your personal information for financial gain, but victims stand to gain very little if they don’t act quickly. Commonly targeted by identity thieves, children are attractive to unscrupulous individuals because of their squeaky-clean credit files. They’ve had little to no chance to leave a bill unpaid, thus their credit reports are a blank slate for dishonest people and businesses. With careful use, a child’s stolen identity can provide a smorgasbord of financial advantages – lines of credit, bank loans, credit cards, utilities, rentals, phone lines, etc. Furthermore, it’s likely not to be discovered for several years, giving the thief plenty of time to leverage the stolen identity. In fact, more than a million unsuspecting parents received notification that their child’s ID had been stolen in 2015 alone. Unfortunately, the thief is usually a careless relative. This type of identity theft is perhaps the saddest of them all, with thieves using your personal information to get healthcare benefits. While it’s never certain whether the perpetrator stole the information because healthcare was unaffordable or if they simply wanted to take advantage of your good credit, the result is always the same: your credit scores take a hit while they take a free trip to see the doctor. If you’ve ever received a bill in the mail for medical treatments you don’t remember getting, then chances are, you’re the victim of medical ID theft. Medical identity theft not only does a number on your credit profile, but it also causes incorrect information to be added to your medical file. When a thief gets his or her hands on your wallet, he or she may be looking for more than just credit cards, debit cards, and cash. The thief may use your driver’s license to hide their identity in the commission of numerous activities. While that may not seem important when the thief doesn’t look much like you, it carries some serious consequences if used cleverly. For example, imagine the financial and legal upheavals you’ll endure if the thief uses your driver’s license then gets a speeding ticket or into a wreck while claiming to be you. Perhaps the most dangerous and damaging to your credit report and reputation is criminal identity theft. This type of fraud is defined as a type of ID theft that results in a serious crime taking place. In some cases, people get hurt or killed while your identity is being used. For this reason alone, it’s extremely vital for you to keep your personal information protected at all times. 1. Contact Your Creditors immediately Regarding Identity Theft. Let all appropriate parties know that you have fallen victim to Identity Theft. Attempt to dispute any charges that have happened on any of your own accounts if applicable with your creditors directly and first, and ask them to issue you new cards. 2. Put a Fraud Alert on All Your Accounts. While it may freeze your accounts, a fraud alert will stop any future damage until the problem is resolved. 3. File a Police Report. Report the fraud to the police, so they can track down the perpetrator. A timely police report may also help out when it’s time to clean up the mess with affected creditors. 4. Have Your Credit Report Analyzed. If you believe that you have been the victim of identity theft it is important to get your credit report analyzed by a professional company that specializes in credit repair and fighting identity theft. In a custom credit repair analysis, a credit repair company will go through your credit report and help you determine the damage done, and present you with solutions to not just delete the negative effects but restore your credit. 5. Hire The Best Credit Repair Company. Let a good credit repair company analyze your credit situation and submit disputes on your behalf. The best credit repair company out there will analyze your credit, and then select the right options that fit your needs. As a top rated credit repair company, DeletionExpert.com fights on your behalf. 6. Remove Negative Items From Your Credit Report. Remove negative items from your credit report by contacting experts that know how to fight identity theft. By Removing these negative items you will clean your credit of everything that you did not authorize while additionally improving your credit score. This article was written for Grand Teton Professionals for Deletion Expert. For Credit Repair Solutions and Support, please CONTACT US at 203-518-4923 or EMAIL US at Support@DeletionExpert.com. For Media Relations, please Contact: Misty.Burrell@GrandTetonProfessionals.com. REMOVE all NEGATIVE entries on your credit report IN 3 to 6 WEEKS! Our credit repair experts can analyze your credit situation and recommend the best possible way to help you achieve your credit goals! GET YOUR CREDIT ANALYZED NOW - IT'S FREE! Get Free Analysis Sign-Up Now! Get Started for as low as $499. Office: 261 S. Main St., Suite 335, Newtown, CT 06470.